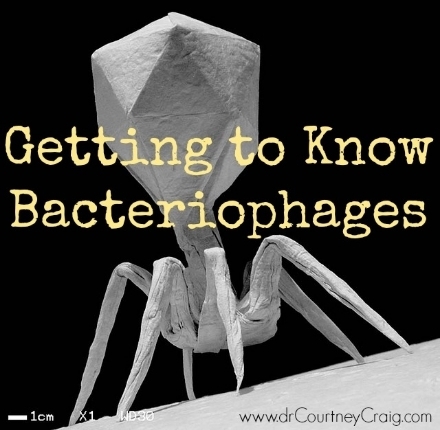 Bacteriophages are the most abundant biological entities on Earth. They are non-living, innocuous viruses that make up the human virome, found in soil, fresh foods, water, and our own bodies. Human waste is thought to contain 10^9 virus-like particles from bacteriophages per gram. It is estimated that the human virome contains 1200-1500 different viral types (1). Phages prey exclusively on bacterial cells—hence the name “bacteria eater.” Similar to viruses, bacteriophages insert their genetic material into host bacterial cells. Whereas antibiotic therapy is often broad spectrum, bacteriophages are specific. A common complication of antibiotic use is the creation of “super infections,” where normal flora is eradicated leading to secondary infections. Bacteria may now be resistant to antibiotic therapy, herbal antimicrobials, or more resilient against beneficial species that normally crowd them out. Bacteriophage therapy may provide a novel new means to address these challenges in treatment resistant infection or dysbiosis. An additional benefit of phage therapy is that it is useful against bacteria that have formed biofilms that are impenetrable to standard antibiotics. Phages can penetrate the thick, protective biofilm layer and cause destruction of the bacteria wall (2). Lytic therapeutic phages have been used over-the-counter since 1920. Renewed interest in the microbiome has returned them to the spotlight. Additionally, the rise in antibiotic resistance has prompted the need to further research the potential of phage therapy. Early use of phages was for dysentery or as generic antibiotic therapy long before the introduction of penicillin. With the advent of antibiotics in the US, interest in phage therapy waned but remained popular in other countries such as the Soviet Union and other parts of Eastern Europe, where they were heavily researched (2). Supplemental phages are generally recognized as safe (GRAS) but proper sourcing and manufacture have limited their availability. Human and animal studies have shown their effectiveness and safety against infection with E. coli, Staph. aureus, C. difficile, and Klebisella (3). Bacteriophage formulas may be the next big thing in dysbiosis treatment in addition to traditional probiotic therapy. Since they do not ferment in the gut like probiotics or prebiotics, they do not cause unwanted gas or bloating. Supplemental bacteriophages have been used in clinical trials for IBS, UTI’s, and vaginitis with good effect (3). They are especially helpful in reducing the density of specific pathogenic bacterial populations and restoring a balanced microbiota environment. Many gram negative micro-organisms have been implicated in worsening the CFS condition. Even in absence of overt gastrointestinal symptoms, overgrowth of these species can promote muscular tension, fatigue, concentration difficulties, and failing memory (4). Eradication via antibiotics often promotes unwanted dysbiosis. Phages may be able to improve the gut environment and improve intestinal health. Probiophage DF is a proprietary bacteriophage/probiotic blend. It combines 4 types of beneficial phages along with 7 strains of dairy-free, allergen-free probiotics. This dairy-free formulation is featured in a delayed-release capsule to increase intact delivery to the intestines and protecting the organisms from stomach acid. Trials have shown that this formula is effective in small doses and within hours. It is active in both the small and large intestine making it a viable option for the management of small intestinal bowel overgrowth (SIBO) as well as irritable bowel in the colon.